Scott's Polar Trip app - take a trip to the Arctic Circle! 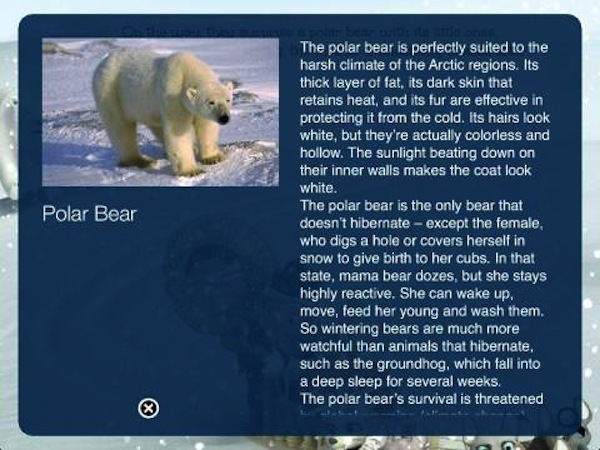 Scott’s Polar Trip app – take a trip to the Arctic Circle! 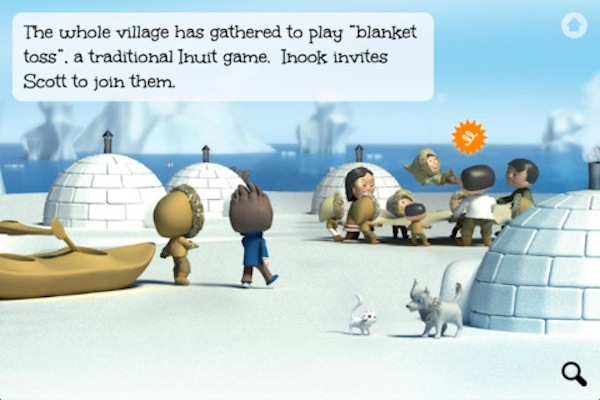 It’s not common that Australian kids get a taste of the Arctic Circle, but in this fabulous app from the talented bunch at Square Igloo, Aussies get a small slice of what it might be like to visit such a remarkable place. We’re big fans of Square Igloo’s books, having reviewed Scott’s Submarine and Mademoiselle Daisy’s New Friends and now we’ve had the pleasure of taking a look at its latest creation, Scott’s Polar Trip. We’ve said it before and we’ll say it again; it’s the Australian-accented narration, along with a quality story and graphics that makes these apps so accessible to our young folk, who are accustomed to an audio diet of mostly American tones. Here we find Scott on an Arctic adventure, riding a sled powered by dogs over the cold snow, and encountering the people and creatures of the North Pole. There are twenty interesting fact cards, four games, an igloo puzzle to build, and a nicely-paced, thirty-page story to hold their interest. Choose from three languages across two reading levels (three to four years and five to seven years). This app is suitable for both iPhone and iPad so no annoying format issues here. Scott’s Polar Trip is $2.99 on iTunes.